A solicitor’s clerk secretly marries the office secretary, but a business matter threatens to cut their one-night honeymoon shorter still! 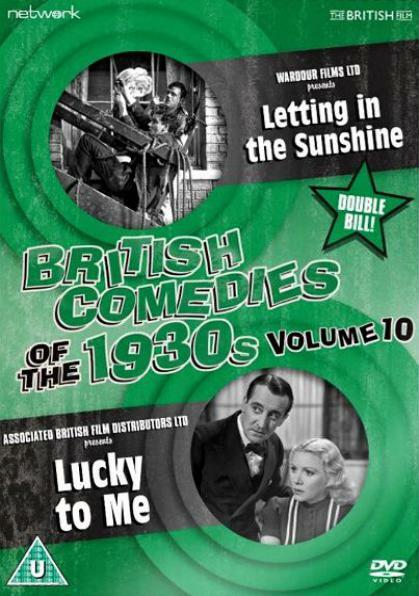 The ebullient comedy films of the 1930s brought escape and laughter to millions of British cinemagoers, enabling veteran stars of the music hall and theatre to reach out to a wider audience making household names of performers such as Leslie Fuller, Hal Gordon, Bobby Howes, Ernest Lotinga and Gene Gerrard. Featuring: Letting in the Sunshine (1933), Lucky to Me (1939).